The prelude depicts the sea; a middle section anticipates the love music of Mercédès and Dantès. Scene 1: The port at Marseilles. Early morning. Mercédès awaits the return of the ship Pharon, carrying her sailor fiancé, Edmond Dantès. Trumpets sound and a crowd gathers. Among the crowd are Fernand, who is in love with Mercédès, and Dantès' father. The ship arrives and the crew disembark, welcomed by their loved ones. The ship's purser, Danglars, is not welcomed by anyone. Finally Dantès arrives. He brings the sad news that the ship's captain, Leclère, has died, and that, as second mate, he took over command. After the crowd disperses, Mercédès and Dantès sing of their love. Dantès tells Mercédès that Leclère's dying wish was that Dantès should deliver a letter to an address in Paris. Dantès knows nothing of the contents of the letter, but feels duty bound to carry out the request. Scene 2: Outside the inn La Réserve, that evening. Danglars is enjoying a quiet drink. He reflects on his desire to be successful, and his jealousy that Dantès is the heir apparent as captain of the Pharon, even though he, Danglars, is older and more experienced. Fernand appears at the opposite side of the stage. He sings of his hopeless love for Mercédès, then joins Danglars at the inn. Caderousse arrives, tipsy. It transpires that each of them is jealous of Dantès: Danglars envies his job, Fernand loves his fiancé, and Caderousse, one of life's losers, envies his success in general. They sing an ironic toast to Dantès, ending in a curse: “Damn his eyes!”. Danglars suggests, as a supposedly hypothetical example, that a letter could be written accusing Dantès of treason. (Danglars knows about Captain Leclère's letter which Dantès is to deliver). He writes the accusatory letter using disguised handwriting, but tosses it away, saying it would be quite wrong to send it. The three then leave the inn to go their separate ways, but Fernand returns alone and picks up the letter. Scene 3: Outside the inn the following morning. Mercédès and Dantès sing of their love and look forward to the betrothal party, which is to take place shortly. Guests begin to arrive, and preparations for the party begin. Dantès addresses the guests, telling them that because of his sailing commitments, contrary to usual custom he and Mercédès are to be married this very day. Fernand is crestfallen. The feast is about to begin, but Dantès senior insists on making a rather dull speech. While he is speaking, a Boy appears and tries ineffectively to interrupt him. The Boy eventually manages to blurt out “There are soldiers coming”. At that moment, a detachment of soldiers led by a Captain arrives. The Captain is seeking Edmond Dantès, who is to be arrested for treason. Dantès protests his innocence, but agrees to go with the soldiers, assuring the guests that the misunderstanding will soon be sorted out. The distraught Mercédès is comforted by Dantès senior and Fernand. Fourteen years later. 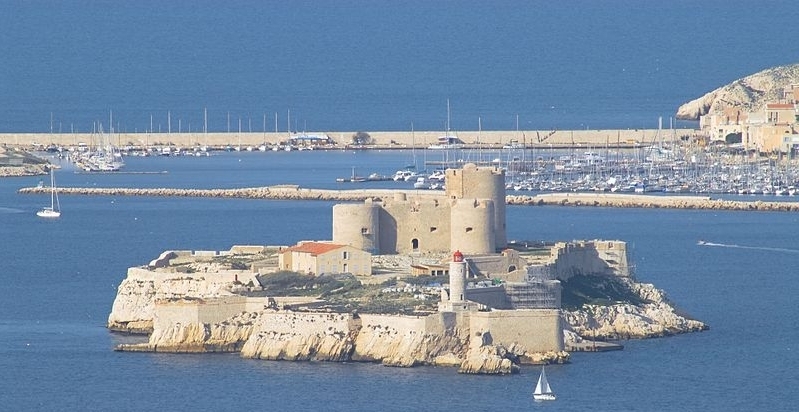 A dungeon in the Château d'If, an island prison off the coast of Marseilles. Dantès sings of his despair, having been unjustly imprisoned for fourteen years. His only consolation has been the friendship of his cell-mate, Abbé Faria, a priest, who is now seriously ill. The Gaoler enters with food and water. He believes that Faria is mad, citing his oft-repeated stories about hidden treasure. After he has gone, Dantès reflects on how Faria has passed on much of his learning, and has also helped Dantès to work out exactly who might have had a motive for accusing him of treason, and how they might have done it. Faria awakes. He thanks God for his life and prays that Dantès will able to escape from the prison and claim the hidden treasure of Monte Cristo. He tells Dantès that his life is coming to an end. Dantès encourages him to hope that he will recover and also escape from prison. Faria produces an ancient letter which he has kept hidden during his imprisonment. The letter entitles the bearer to ownership of the treasure of Monte Cristo, and gives directions showing how to find it. Faria gives the letter to Dantès. They sing a duet expressing their mutual friendship, after which Faria rapidly weakens, soon falling back on the bed, dead. Dantès calls the guard, who brusquely confirms that Faria is dead, then leaves to summon the Priest and the Doctor. Dantès bids a sad farewell to his friend. The Gaoler arrives with the Priest and the Doctor, who perform their duties perfunctorily. The Gaoler produces a sack and the three of them put Faria's body into it. They leave, the Gaoler promising to return shortly to take the body away. It suddenly occurs to Dantès that he has an opportunity to escape. He removes Faria's body from the sack, places it in his own bed, covering the face and hair so that it is not recognisable, and gets into the sack himself. When the Gaoler and an assistant return, they take out Dantès in the sack. Scene 1: The outskirts of Paris some years later. Dantès tells how he escaped from the Château d'If, made his way to the island of Monte Cristo and claimed the treasure following the directions in the letter given to him by Faria. Now fabulously wealthy, he has spent some years travelling, and has returned to France to claim vengeance on those who caused his imprisonment: Fernand, now the Count Morcerf, a military hero and husband to Mercédès, Danglars, now a successful banker and a Baron, and Caderousse, still a n'er-do-well. Dantès has taken to himself the title of Count of Monte Cristo; because of his wealth no-one has questioned his right to the title. Scene 2: Caderousse's house. Caderousse sings of his wish to be rich like his former friends Danglars and Fernand. Monte Cristo, disguised as a priest, knocks at his door. He tells Caderousse that he brings news of a supposed bequest to Caderousse from a recently deceased parishioner. After questioning Caderousse, he hands over a very valuable jewel. When Monte Cristo has left, Caderousse plans how to make even more money from the jewel. Scene 3: Danglars's Office. Danglars extols the virtues of the banker's life, and looks forward to his next gullible client: the Count of Monte Cristo. Monte Cristo arrives and deposits a huge sum of money with Danglars. Scene 4: A room in Count Morcerf's house. Morcerf's son Albert enters. He and Monte Cristo previously met in Italy when they were both travelling, and greet each other as old friends. The Count and Countess Morcerf (Mercédès ) appear. A few awkward moments follow and Mercédès asks Monte Cristo to tell the story of his foreign travels. Morcerf and Albert then depart for the Opera, leaving Monte Cristo and Mercédès alone together. Mercédès reveals that she has recognised him as Dantès, but promises not to betray him. They briefly tell each other what has happened since they last saw each other. Mercédès seems to know nothing of Morcerf's role in causing Dantès's imprisonment. Monte Cristo becomes annoyed and leaves, vowing revenge on his betrayers. Scene 5: Outside a telegraph office on the outskirts of Paris. The Telegraph Operator is tending his garden when he is interrupted by Monte Cristo, who questions him about the working of the telegraph system. He bribes the Telegraph Operator into sending a false message. Scene 7: A back street in Paris at dusk. Monte Cristo, disguised as a down-and-out, hands over to a journalist some papers containing allegations about Count Morcerf. Scene 9: A room in Morcerf's house. Some months later. A tender scene between Mercédès and her son Albert is interrupted by an agitated Morcerf. A newspaper has printed Monte Cristo's allegations that Morcerf's supposed military exploits had been a sham. Mercédès and Albert encourage him to sue the newspaper, but Morcerf asks to be left alone. Like Danglars, he realises that his position is hopeless, and shoots himself. Monte Cristo somehow appears on the scene and again confronts his dying enemy with the words: “Remember Edmond Dantès!”. He has to withdraw quickly, because Albert now enters. Albert realises that Morcerf's suicide can only mean that the allegations are true, and he too commits suicide. Mercédès arrives to find both her husband and son dead. She laments her double bereavement, while Monte Cristo is heard from outside regretting Albert's death. A tempestuous orchestral interlude follows. Scene 10: The port at Marseilles. Early morning. Mercédès reflects on her fate: twice happiness has been snatched from her. Monte Cristo appears. They accept that their relationship can never be rekindled, and Monte Cristo begins to regret his acts of revenge. Sadly, they part for ever.